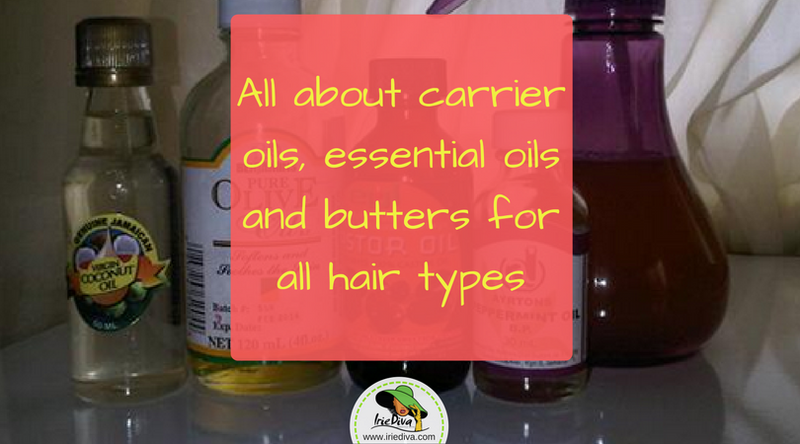 What carrier oil and essential oils are you using on your hair? The peppermint oil was a last minute addition. I was trying to get my spray to smell better. I think it made it smell horrible. For my next batch, I will seek out some lavender or lemongrass oil to add to my mix and leave off the peppermint. Update: the peppermint oil has amazing benefits! 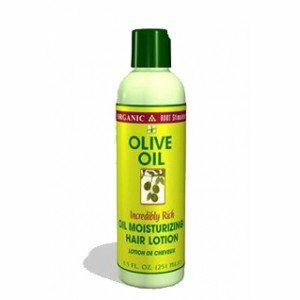 It stimulates hair growth by increasing blood circulation to your scalp. It is an essential oil so I realised I was using WAY too much in the mix, now I’ve found the right balance and my mixture smells good and is soooo good to my hair. So excuse the newb in me but this is a great time to explain the difference between a carrier oil and essential oils so you don’t end up like me. A carrier oil is your base oil, the oil that will be used to dilute the essential oils. Essential oils are powerful, super-concentrated oils that really need to be used sparingly so you drop a few drops into your carrier oil and your carrier oil carries the benefits to you without any harshness. Get it? Both oils will have benefits depending on which ones you go with. I’ve also discovered that something in this particular mix, maybe one, maybe all, causes my skin to break out. Less is more, using too much of my spray will do that. I have to now change my pillowcase much more often than before to try and keep my face from becoming irritated. Or I could always wear a scarf but…lazy. I’ve just bought some extra satin pillowcases for those nights when head hits pillow long before thoughts of scarves. I use this mix religiously in my munchkin’s hair whenever I wash, which is weekly, and her hair really couldn’t be healthier. Further update: The culprit for me is coconut oil. Coconut oil as it turns out breaks me out something horrid! It also leaves my hair quite trashy so this oil on a whole is a no-go for me. I had to be one of the few adversely affected by coconut oil when everybody else loves it. 🙁 To see what I’m now using in my hair to moisturise, click here. I am not impressed. Munchkin’s hair is not very porous so it always just kinda sits on top. I don’t have much to compare it to but very soon will. There’s gotta be better. It was part of my “lemme try out what’s available to me before I go ordering stuff on amazon” experiment. There are a million different products in our local hair aisles, something’s gotta work. They can’t all be duds. So I’ll try a few more available ones to see what I can come up with. The resemblance of this line to the Organic Root Stimulator Olive Oil line was probably what made me buy it. I’ve used this product before with great results, but was looking for more than a moisturizing lotion, wanted something that said it was a leave-in conditioner. No idea what the difference is at this point as I’m still in the learning curve here, we’ll see what I can come up with. I’ve updated this post and removed the butter I recommended as it’s no longer on the market. However, I have a whole post on my favourite DIY whipped shea butter hair that is amazing! really lemme see a pic! Love the natural look and I have in fact cut my hair and I am going natural. I use the eco-gel to add my curls but wanted other products to keep my hair healthy and so I welcome your suggestions. Hi…where did you purchase the satin pillowcases? hi Jhanelle, I actually bought them in the BVI but I’d be willing to bet that places like Lee’s or Ammars may have them. I need a couple more so I’ll update if i find any! Thank you! I’ll check those places out. 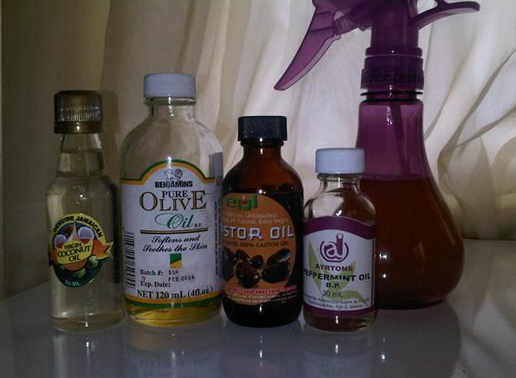 Never tried carrier oils:\ I am so glad that I found this helpful post. I love lavender oil, highly recommend! Lavender oil is the most resourceful amongst essential oils. I prefer essential oils too! My favorite is grapefruit oil that reduces cellulite, fear, depression, stress, happiness, and peace. Mix grapefruit with coconut oil to help with cellulite in all areas of the body.